General Contractors specialize, believe it or not. Residential ones know homes. Isn’t a wall a wall? Heating, heating? Plumbing, electrical… how can it vary based on the type of building? Well, let us say first off, you’re right. The building codes may vary a bit for residents versus businesses or commercial applications, but consider this. 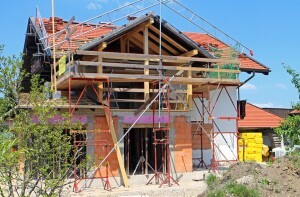 Which type of contractor will be more familiar with YOUR needs during a house remodel project? That, is where the difference is. If you’re renovating your home, there will be concerns that only you will have, very specific ones. INCONVENIENCE. More often than not, our clients are still living in their residence when we’re working on it. Where else would you go? Maybe you could be gone for a night or two if the utilities will be off, but you can’t really move out for weeks on end, right? We understand this, are familiar with it, and deal with it on a daily basis. Other things we watch out for to help keep you comfortable during construction time which many contractors aren’t used to doing, is 1) the mess. – We’re used to tidying up after ourselves. So when we leave the job, things aren’t unsightly, and things aren’t a danger to anyone who could stray into the area. Heck, we keep our work space clean as best as possible all day long, because we know we need to clean up at the end of the day. Why not get a head start? 2) the noise. Many people work from home, or have kids around, so we try to stay as invisible as possible, so not to disturb you. 3) Time. TIME is a big one to consider. Many unreputable companies will promise the moon and the stars to land a job, but then not deliver on what they promised. A prompt deadline is one of those things. Sure, if there are changes to the plans mid-stream that will have a delay, but you should be made aware of that in the planning stages. For the overall job, you want to make sure it stays on schedule. What is the plan for the budget? How often is the budget neglected? How is your builder motivated to make sure you stay within your budget? This is your money, your savings and your investment. Having someone who understands that and RESPECTS that, is vital to the process. With a builder that works with homeowners on a regular basis, instead of commercial businesses, you should find that they’re used handling change order requests and can keep you informed, and on track. We hope this has helped, as always if you have any questions we’re here for you.